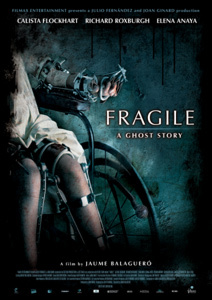 Jaume Balaguer� (Nameless, Darkness) proves once again he's a skilled director in Fragile, a nice ghost story supported by a good cast. It's worth the download if you care more about atmosphere & good acting than gore and guts. Should be perfectly playable in most standalone players (worked great in my Kiss DP1000).